The following are a list of resources that St. Anthony's refers parents of students to for additional activities, support, and as a resource list. While not affiliated with these organizations, they have proven helpful to our families in the past. PALS Programs provides a place for young adults with Down syndrome and their peers to have fun, grow as individuals, and build transformative friendships. PALS is an organization whose mission is to create immersive experiences for young adults with Down syndrome and their peers. Camp PALS is a week-long, sleepaway camp at college campuses across the country. All available locations for summer 2019 can be found here. Please note DSAP is not directly affiliated with the PALS Summer Program. Visit dsapgh.org to stay connected for daily event and communication updates. The PEAL (Parent Education Advocacy Leadership) Center is an organization of parents of children with special health care needs and disabilities reaching out to assist other parents and professionals. As Pennsylvania's Family to Family Health Information Center (F2F), PEAL serves all of Pennsylvania. The PEAL Center is Pennsylvania's Parent Training and Information Center (PTI) serving Western and Central PA. For more information, visit their website here. Pittsburgh Ballet Theatre is proud to continue its sensory-friendly programming. Experience these shows in a supportive theater setting designed for patrons with sensory sensitivities and other special needs. Accommodations include relaxed house rules, lower sound levels, and specially trained volunteers. Learn more about the accommodations here. Everyone--PBT staff, dancers, ushers, and volunteers--will be trained prior to the performance. 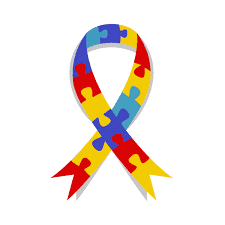 PBT is working with many local autism and intellectual and developmental disability experts to make sure that everyone involved understands the spectrum of special needs that patrons may have and strategies for helping all patrons through this experience. For more information or questions please visit the Pittsburgh Ballet Theater website. We are looking for sponsors for the 2019 Three Rivers Buddy Walk for Down Syndrome. There are a variety of opportunities starting at $150. If anyone is interested I can send you the sponsor package with more details. This is the 24th annual, awareness walk promoting individuals with Down syndrome. Save the date for this year’s Buddy Walk! The Down Syndrome Association of Pittsburgh will host it October 19th at Highmark Stadium from 11:00 am to 3:00 pm. Help us raise awareness for Down syndrome at our largest fundraiser of the year. Lifesteps provides adult services for adults with special needs. They help individuals and families with life's changing needs by developing programs and providing services which will improve their quality of life. For more information on their programs, please visit their website. It’s never too early—and almost never too late— to start planning for the care of a child with special needs. Even caregivers with the best of intentions oftentimes don’t realize that direct gifts and inheritances to loved ones with special needs may cause them to lose critical government assistance. Under the current law, if a person with special needs has over $2,000 in controllable assets, they will be ineligible for important governmental assistance programs. Special needs trusts protect assets while preserving eligibility for government benefits. These trusts can be used to fund services or equipment not covered by Medicaid such as special wheelchairs, educational expenses, recreational activities, entertainment and more. Diverse, flexible and confidential, trusts are a form of property ownership—whether real estate or investments—between the person creating the trust (the Grantor), the person or company managing it (the Trustee), and the person who is entitled to its benefits (the Beneficiary). The Grantor places property in the trust, essentially transferring ownership to the Trustee, who then manages the property for the benefit of the Beneficiary according to the provisions specified by the Grantor. In other words, a special needs trust provides for the care of a loved one with special needs, without jeopardizing their eligibility for government benefits. 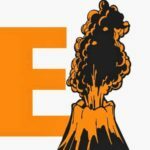 Burns White attorneys have an intimate knowledge and unique understanding of special needs planning. For additional information, contact, Jerry Gaughan, Executive Director & CEO of the St. Anthony Charitable Foundation at 724-940-9020, ext. 103 or via email. 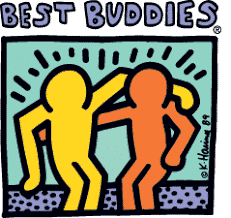 Best Buddies is a global volunteer movement that creates opportunities for one-to-one friendships, integrated employment and leadership development for people with intellectual and developmental disabilities. For more information or to find a local program, please click here. AMC Loews Waterfront is proud to partner with the Autism Society to offer unique movie showings where we turn the lights up, and turn the sound down, so you can get up, dance, walk, shout or sing! 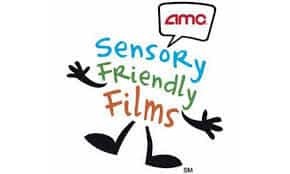 Our Sensory Friendly Film program is available on the second and fourth Saturday (family-friendly) and Tuesday evenings (mature audiences) of every month. Visit their website to check for other showings and movie times. Contact them at (412) 255-1155 or visit their website for more information. Three Rivers Rowing Adaptive Programs offer athletes age 12 and older with disabilities the chance to enjoy the fun, challenge, and relaxation experienced by all who have been "hooked" by the sports of rowing and paddling. The program location, on the Allegheny River near downtown Pittsburgh, also affords participants and volunteers the opportunity to explore the revitalized waterways and shoreline of our beautiful city. For more information on the program, please visit the Three Rivers Rowing Association website.